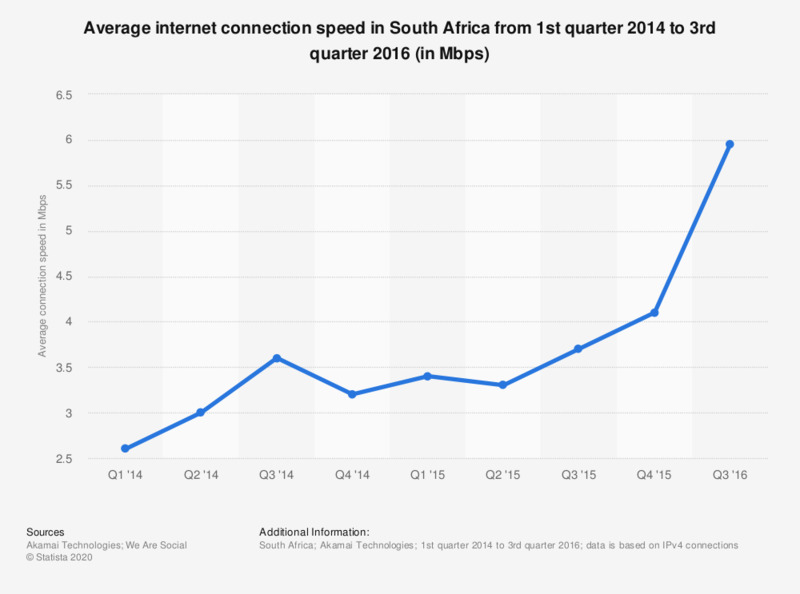 The statistic shows the average internet connection speed in South Africa. In the third quarter of 2016, the average global measured internet connection speed in the country was at 5.9 Mbps. Data prior to Q3 2016 was taken from selected Akamai - The State of the Internet reports. Does the download \ upload speed match the terms of your internet contract? What is the maximum download speed under the terms of your contract?